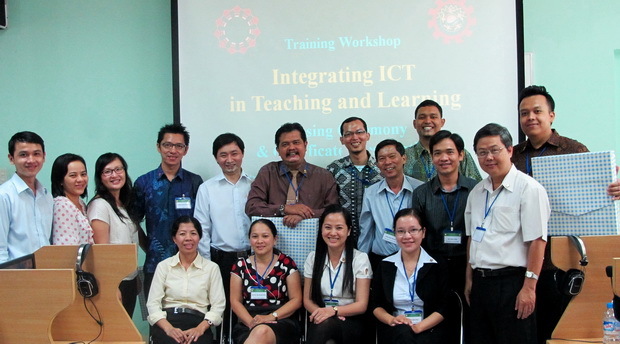 SEAMEO RETRAC in collaboration with SEAMEO Regional Open Learning Center (SEAMEO SEAMOLEC), Indonesia conducted the two-phase training workshop on “Integrating ICT in Teaching and Learning”. 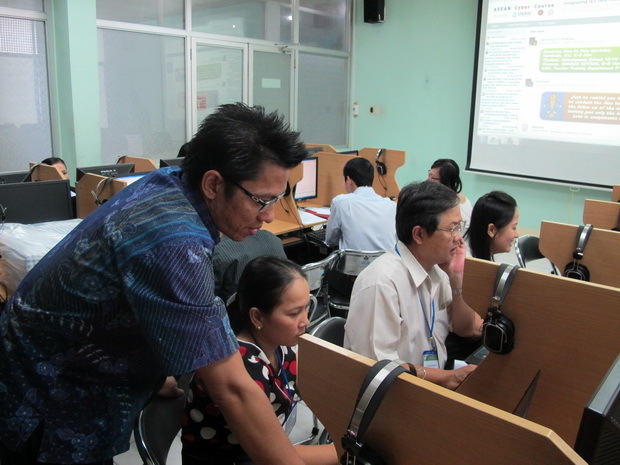 The first phase of the program was the online training which was offered through SEAMEO SEAMOLEC’s website for participants who were lecturers, teachers, and IT technicians from professional secondary schools, vocational colleges and universities in Cambodia, Lao PDR, Indonesia, Thailand and Vietnam. The second phase of the training was conducted face to face for 21 Vietnamese participants from November 6 to 8, 2012 at SEAMEO RETRAC.The training workshop was facilitated by experts from SEAMEO SEAMOLEC. 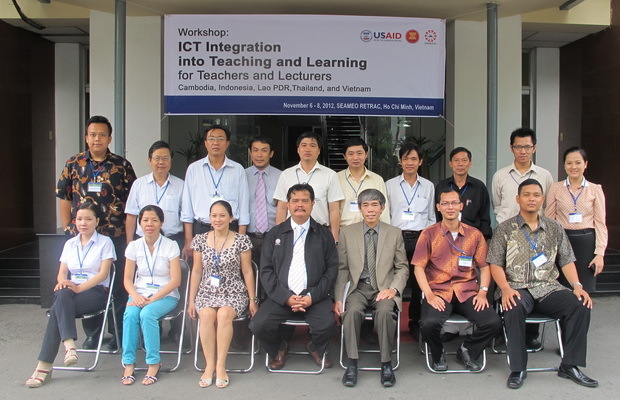 The embedded purposes were to help the participants understand the principles of integrating ICT into teaching and learning process, improve ICT skills, develop ICT-based learning materials, build online examination system, and plan monitoring and evaluation system to enhance the quality of education among participating countries.